Leicester City and Super Eagles forward, Ahmed Musa on Monday hosted players of Nigeria Professional Football League (NPFL) side Nasarawa United FC at his home located at Rayfield Area in Jos. 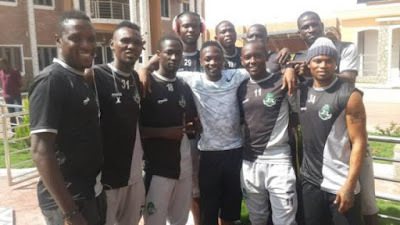 Musa met with the Solid Miners, who are currently in Jos to honour their NPFL match-day 26 clash with league leaders Plateau United FC slated for this Wednesday at the Rwang Pam Stadium in Jos. Addressing the players ahead of the crucial NPFL game, the former Kano Pillars hot-shot charged players of the Lafia-based club not to lose focus, telling them to believe in themselves that they can shock the league leaders at home. 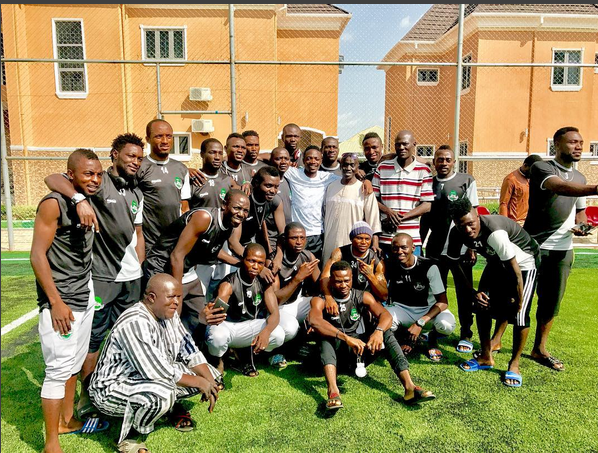 “Thanks for they visit.nassarawa United,wish you guys good luck,” Musa wrote on twitter. Going into Wednesday’s game, Plateau United currently dictates the pace on the NPFL log with 45 points from 25 games, while Nasarawa United occupy eighth position with 37 points from same number of matches played so far in the ongoing season.